September 30, 2015- This article is by Dimple Toriano, a Hoppler broker. Various financial and economic think tanks including the International Monetary Fund have predicted that the Philippines is likely to sustain its current 6 to 7% growth in Gross Domestic Product well up to the year 2020. One such think tank is Information Handling Services Singapore Asia-Pacific (IHS SAP). It revealed this April 2015 that the Philippines economy has the capacity for robust long-term economic growth, an average 5.5% per year over the 2016 to 2020 time horizon. By 2029, Philippines’ gross domestic product will reach $1.05 trillion according to IHS SAP chief economist Rajiv Biswas. The total GDP is predicted to rise from $310B in 2015 to $500B by 2020, buoyed by the growth of the business process outsourcing (BPO) industry and overseas remittances. • Favorable factors include demographics, a strong consumer demand, and a revitalized manufacturing sector alongside a robust BPO industry all contribute to painting a rosy future. By 2016, the BPO industry is projected to have 1.3 million employees. • The real estate industry is poised to be a major consistent gainer in the economy’s bull run. As conditions vary across different industries, with others having better prospects, it is certain that prices are not likely to crash in the next five years. Demand from BPOs accounted for last year’s 80% of office take-up with 450,000 sqm of new office space flooding the market. 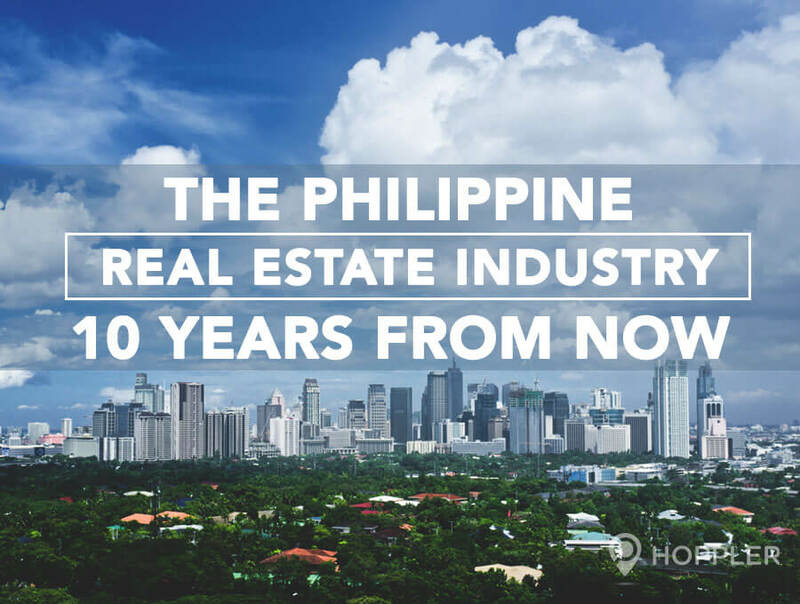 These office spaces were concentrated in Metro Manila’s Central Business Districts such as the Fort/BGC, Makati and Ortigas. Rental rates in Makati are the highest with a lease rate of P970 per sqm per month. The Fort is pegged at P797 per sqm, while Ortigas stands at P566 per sqm. Comparing these rates with Singapore and Hong Kong, which start at about P3,740 per sqm per month, BPO firms are likely to set up offices in the Philippines. The same is true for Cebu, Davao, Iloilo, Cagayan de Oro, and Bacolod. CBRE reports that the high-end residential market, marked by luxury condos, is due for a market correction as supply now approximates demand. In the next three years, 9,000 luxury residential units will be made available, 95% of which will be located in Metro Manila’s three CBDs. Due to worsening traffic situation, professionals and families who reside in high-end but far-flung neighborhoods like Ayala Heights, La Vista, and Ayala Alabang are now keen to acquire halfway homes in central locations. However, demand is seen as finite and not likely to grow. As such, real estate experts agree that property prices are not expected to rise beyond 10% annually. Mass housing and condo units measuring from 15 to 60 sqm are still short of the demand. In 2014, the backlog stood at 5.6M homes, with as much as 500,000 in Metro Manila alone. Demand for affordable housing remains strong as buyers are offered low-interest rates and few downpayment requirements. OFWs and the middle-income earners are the bulk of customers. Bangko Sentral ng Pilipinas estimated that about 60% of last year’s $23B remittance by OFWs went to purchase new homes. The Philippines boasts of 17M sqm of retail space, with 7M in Metro Manila. And as retail analysts claim that after per capita income is breached at the $3,000-mark, a retail explosion would follow. It seems that this is what we are seeing as more and more foreign brands saturate the market. As a result, take-up of retail space will continue to happen, with vacancy rates at only 5%. With a heightened consumer spending, leasing is not likely a problem.